For Remains, Milner treated The Warhol’s archives like an archaeological site, searching for and excavating Warhol’s body, ending up with more questions than answers. The items oscillate between feeling so specific and personal to seeming generic and mass produced. 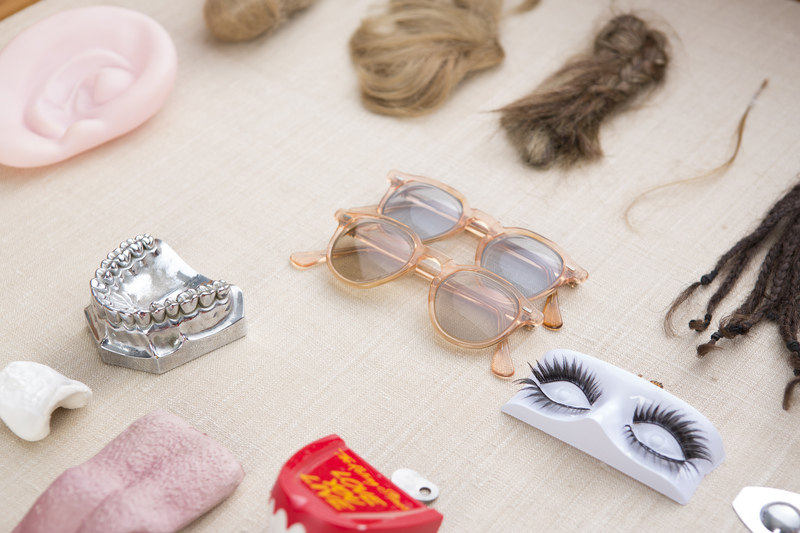 Other items feel strangely familiar, resembling items in the artist’s own home and studio (a lock of hair from a friend, crystals, dental molds). In this work, Milner combined his personal things with those belonging to Warhol. He included items from the Time Capsules and from the general archives, as well as Polaroid facsimiles. 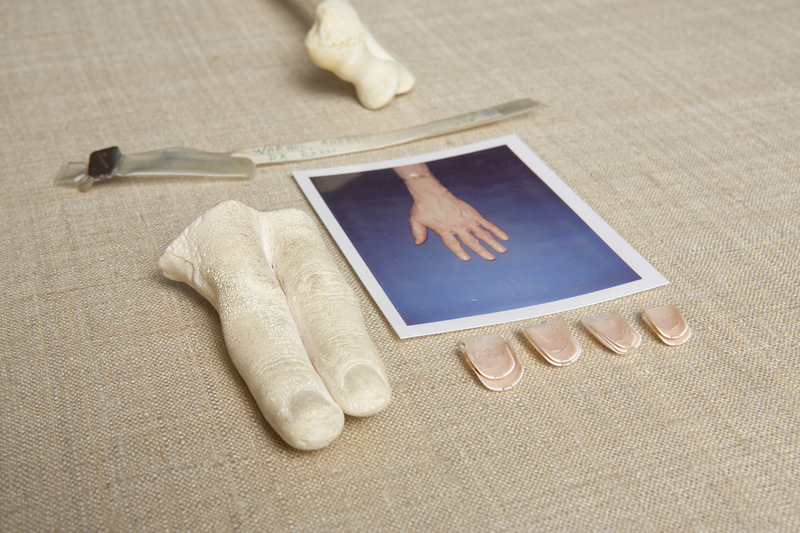 With an attention toward items related to the body, the artist constructed a fragmented pair of figures in the archives section of the museum. Various dualities might come to mind with this pair (warhol and milner, male and female, natural and fabricated), but such binaries blur and categories become complicated as both artists things intermingle. 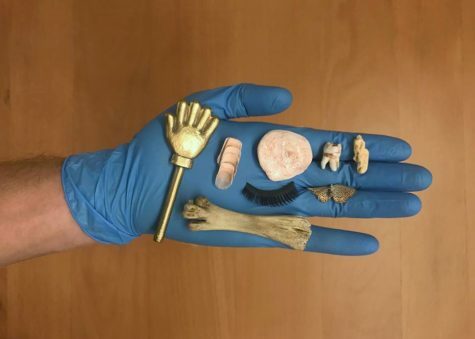 By working closely with museum staff to provide only hints of information about the identity of the objects, viewers encounter a compilation of items that they must make sense of themselves. Thus, the aura of Warhol hangs over the collective bodies, while each item is open for interpretation and up for interrogation. Items level out, and hair is hair, fingernails are fingernails, and underwear is still underwear. For more information on Adam Milner’s project take a look at his blogpost on the Warhol Blog. Loiseau, Benoit. “Unearthing the most poignant and peculiar objects from andy warhol’s personal archive“. i-d,vice, 12/21/2016.